For the past five decades, John Heywood, the Sun Jae Professor Emeritus of Mechanical Engineering at MIT, has been performing research on internal combustion engines, substantially increasing our understanding of how they work and how to reduce their emissions of air pollutants and greenhouse gases and increase their fuel economy. 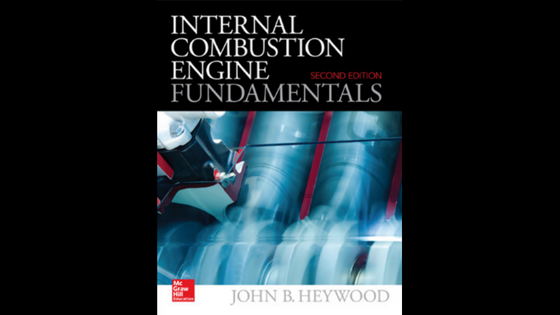 Thirty years after its first publication, Heywood has just completed a second edition of his seminal book, Internal Combustion Engine Fundamentals. Its publication comes at a critical time when the automotive industry is faced with difficult questions on how to move forward in an era when alternative propulsion options are getting a lot of attention. The following is extracted from an interview with Heywood by Mary Beth O’Leary, Department of Mechanical Engineering, on why development of internal combustion engines should continue. Q Much of your career has focused on internal combustion engines. What changes have been made in engine design to reduce air pollutant and greenhouse gas emissions? A In the past 30 years, there’s been a lot of progress in controlling air pollutant emissions using exhaust after-treatment technology. The key technology component is the catalytic converter in the exhaust system that cleans up the exhaust gases before they go out into the atmosphere.…This has been very successful in gasoline engines, but not as successful for diesel engines. As a consequence, the environmental problems presented by diesel engines haven’t yet been adequately resolved. Q Over the past decade or so, there has been a strong focus on electric vehicles as a solution to transportation’s greenhouse gas emissions problem. Why is work on internal combustion engines still important? A Behind this question, there’s this implication: “Why are you bothering with these engines when electric vehicles are taking over?” Electric vehicles are certainly going to play a useful role moving forward, but right now it is really difficult to estimate how big a role they will eventually play. I’ve been researching the critical area of electrical vehicle recharging for the MIT Energy Initiative’s “Mobility of the Future” project. If you own a battery electric vehicle, you really need a home recharger. The logistics and cost of having a home charger at most of the homes in America are problematic and expensive. Various projections for the US suggest that by 2030, some 10% to 25% of vehicles might be electrified. The question then remains, what about the other 90% to 75%? And what about the large trucks and ships that run on diesel fuel? There are, as yet, no convincing electric options for those vehicles. That is why it is still so important to continue working on internal combustion engines and make them as clean and efficient as we can. Read more online at bit.ly/john-heywood.